From a landscape point of view, Kanto is a relatively uninspiring region, covered by flat plains, interspersed with the occasional mountain. From an urban perspective, however, Kanto is fascinating. Around a third of the population of Japan lives here, making it one of the most densely populated parts of the country. It also rates as Japan's most urban and industrialised region. The south of Kanto is dominated by that great metropolis of the Greater Tokyo Area. Tokyo isn't the most picturesque of Japanese cities, but it certainly knows how to impress with its neon lights and high-rise buildings. It is a place that is forever full of people, whether out strolling the streets, enjoying the spring flowering cherry trees or dashing off to work. Kanto's other major cities pretty much follow suit, including Japan's second largest city of Yokohama, and Chiba, famous for having the longest suspended monorail in the world. Life for folk in the Kanto region was changed forever when the 1923 earthquake struck, devastating almost three-quarters of the city's buildings and leading to much loss of life. Thankfully, by the time the 2011 earthquake struck, many buildings had been made quake-proof. As a consequence of a history of earthquakes in the region, not to mention damage caused during World War Two, older buildings are on the scarce side in Kanto. Vestiges of the past include the Kawasaki Daishi, which is the second-most visited temple in the region. Tokyo's Shinto shrine, Meiji Jingu, feels like it could be miles from city centre life, surrounded as it is by a wall of greenery. The region's cuisine, particularly that found in Tokyo itself, has received worldwide acclaim. In 2007, the city proudly received twice as many Michelin stars as that other gourmet-capital of the world, Paris. Without doubt Japan's most famous city, Tokyo boasts many tall skyscrapers, bright neon lights and historical palaces. 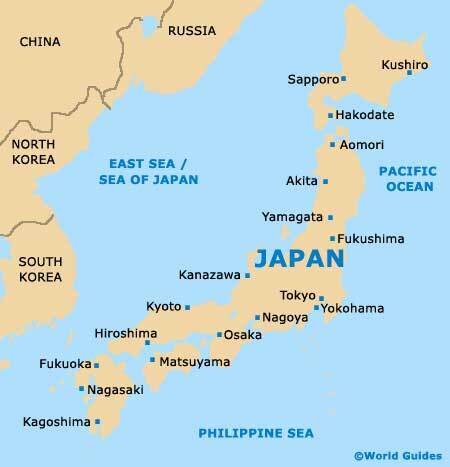 Tokyo is on the eastern shoreline of Honshu Island and is a vast metropolis, being the Japanese seat of politics. Japan's second-largest city, Yokohama is to be found within the Kanto region of Honshu and is particularly close to the south of Tokyo. Yokohama is capital of the Kanagawa Prefecture and has become a thriving city with a major harbour.